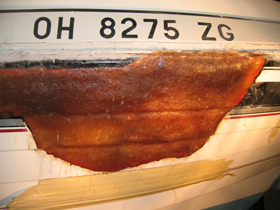 A 21′ Larson suffered internal hull damage caused by a bow collision which compromised the internal structure causing stress cracks on the outside of the hull. 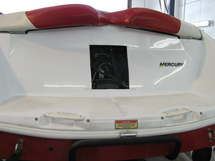 Whether by accident, water-related rot, collisions or late-emerging quality issues, our certified technicians will have your boat repaired and looking new. 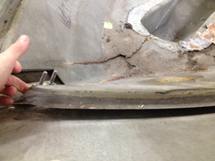 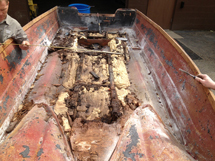 This includes repairing damaged fiberglass and replacing critical structural components such as transoms, bulkheads, stringers and floors. 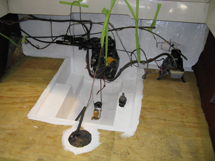 Strain on the transom sometimes can lead to water leaks, rotting, cracking, breaking at stress points and other structural damage. 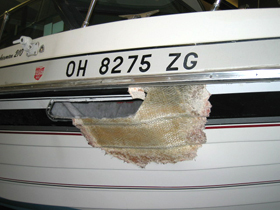 When hidden damage is discovered on a new or older boat, it doesn’t spell the end. 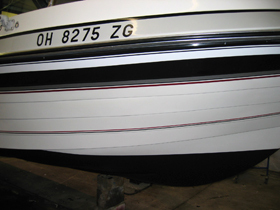 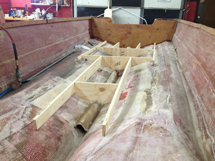 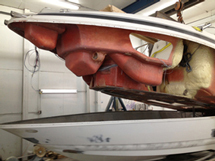 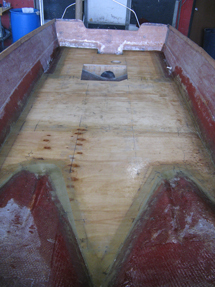 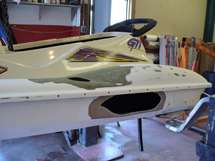 We will evaluate the problem and recommend the best remedy to restore your boat to its original strength and appearance. 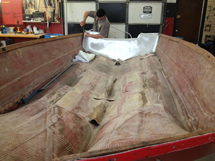 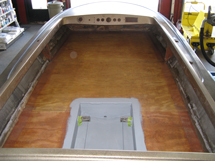 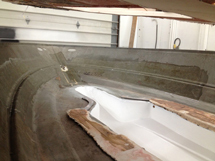 Our fiberglass and marine technicians will use the highest quality materials and utilize professional techniques to ensure a strong repair that is state-of-the-art and safe in the harsh boating environment. 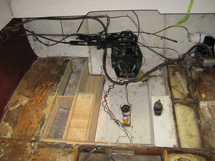 If your floor needs repaired, from laying new carpet to major reconstruction, you can be assured that the floor will be trouble-free for years. 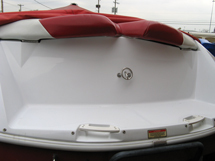 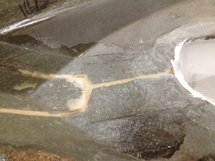 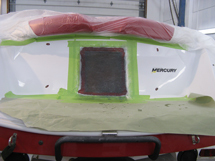 Regardless the manufacturer of personal watercraft you own, we have the expertise to repair any hull damage. 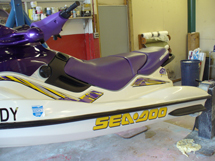 Most jet skis are manufactured using a different process than boats requiring different repair procedures; we can handle major collision repairs, minor cosmetic touchups, and even a full paint job.